A large, high quality fruit with tender, juicy, smooth textured flesh that is good for fresh eating and canning. Ripens late season. 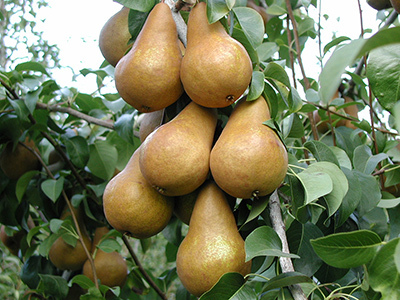 Requires a pollinizer variety for pollination, use Bartlett Pear. Hardy to -20°F.